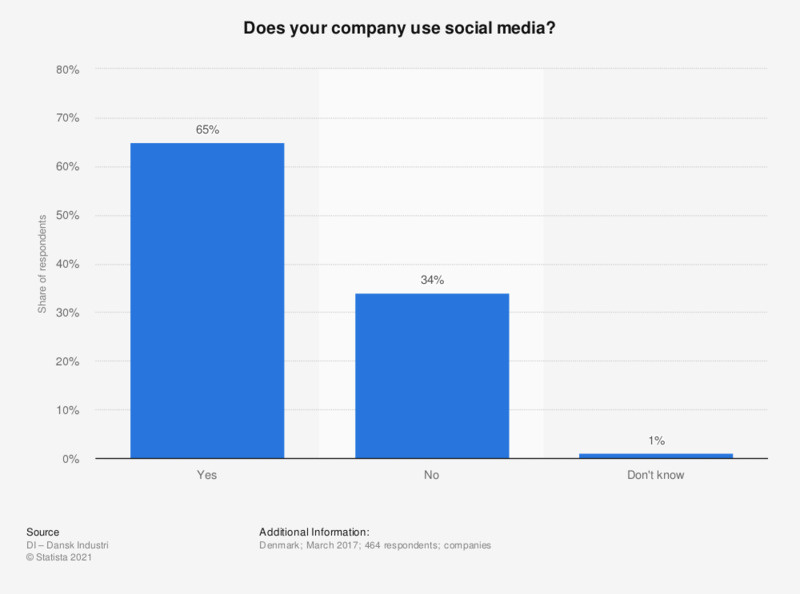 This statistic shows the results of a survey displaying the share of companies that have used social media in Denmark in 2017. During the survey of 2017, 65 percent of the companies in Denmark used social media, for instance Facebook, Twitter, LinkedIn or Instagram. This question was phrased by the source as follows: "Benytter din virksomhed sociale medier (f.eks. Facebook, Twitter, LinkedIn, Instagram)?"